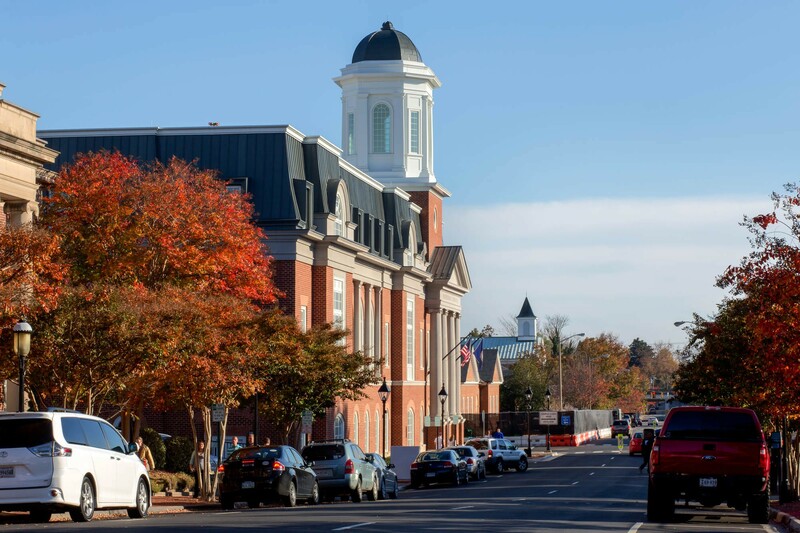 THE CITY OF FREDERICKSBURG embarked upon a major planning effort for a new court facility to be situated in the city’s historic district. 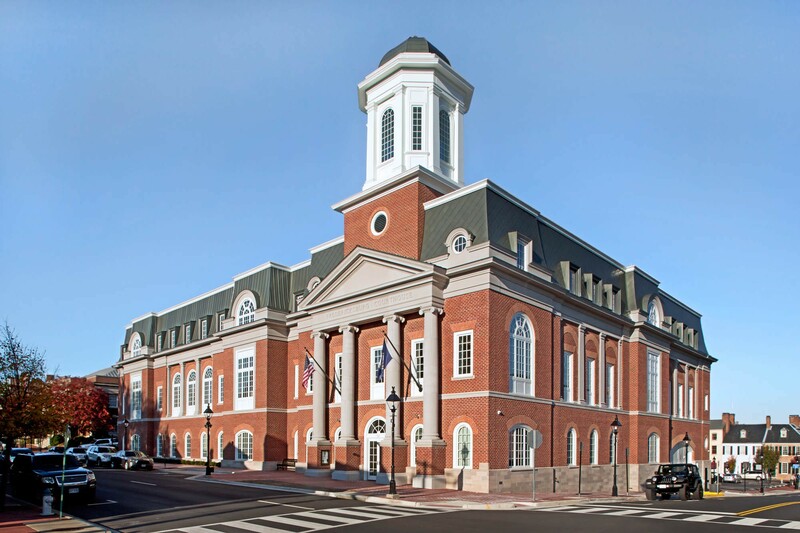 City officials elected to solicit proposals under the auspices of the Public Private Education Facilities and Infrastructure Act (PPEA) for the new courthouse. The proposal submitted by FirstChoice Public-Private Partners, an entity that included English Construction, Moseley Architects, and Glavé & Holmes Architecture (G&HA), was awarded the contract. 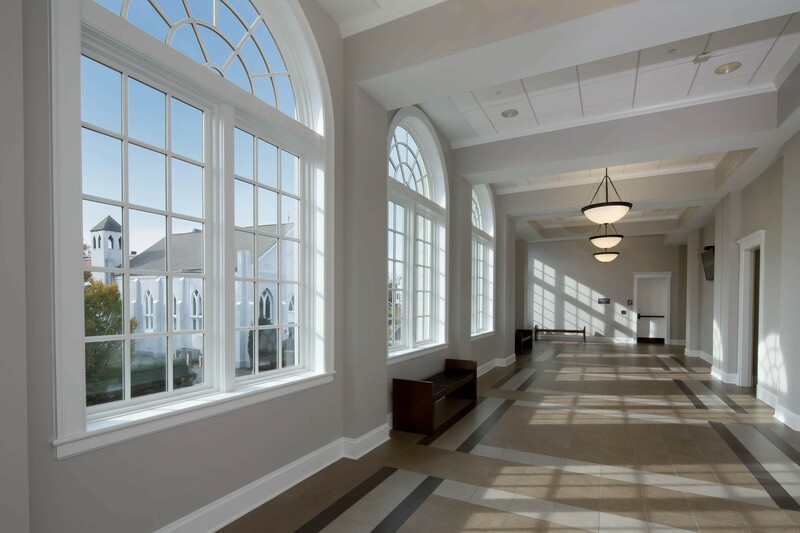 The resulting project was implemented in phases to comprehensively address the conceptual design, master planning, and the functional needs of the new 78,500-square-foot courthouse. 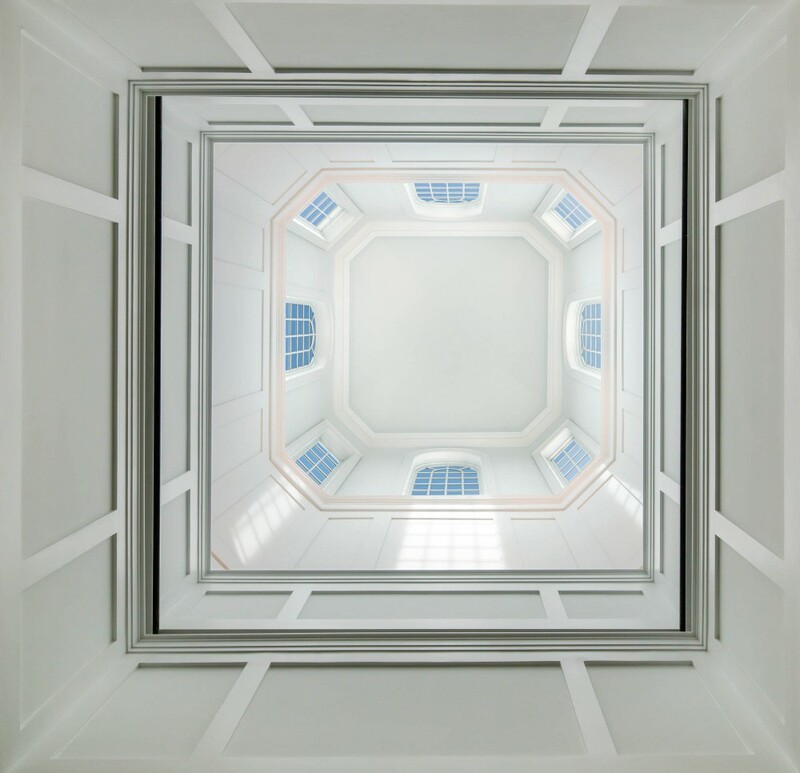 Glavé & Holmes, as a consultant to Moseley Architects, was responsible for designing the exterior for the main courthouse building, which occupies a prominent downtown site. 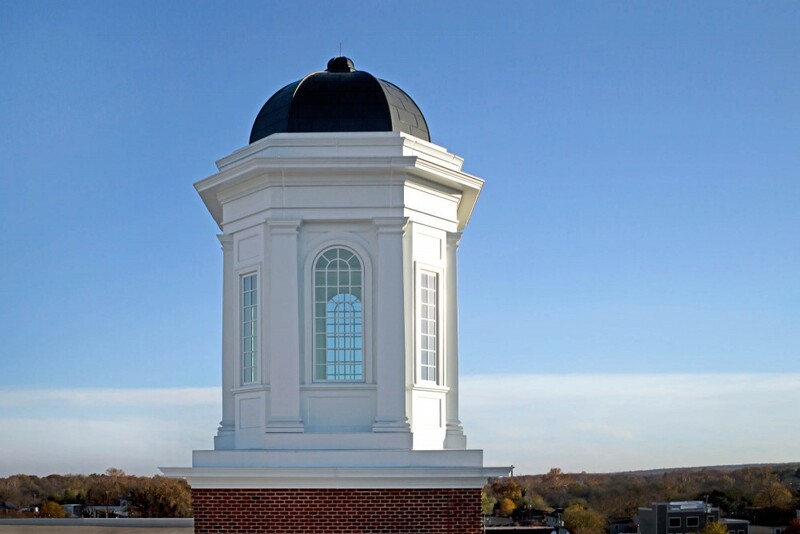 The design, including the building’s signature cupola, draws from local and historic architecture to be contextually appropriate in Fredericksburg’s Historic District. The building is four levels and houses the city’s Circuit Court and General District Court, with associated support functions. A secure, enclosed parking area is located in the basement level.